There could be a changing of the guard in the highest classification when the state cross country meet is held once again on the famed grounds of Carrollton Saturday. Brookwood’s boys have captured titles four of the last five years and Mill Creek won it all in 2012, but both teams will be playing an underdog role against Marietta. The Blue Devils boast seven runners who have broken the 16:00 mark this season. Northview’s girls triumphed in Class AAAAA in 2013 and their jump to Class AAAAAA could spell bad news for other contenders like South Forsyth, Harrison and Etowah. Among the boys contenders in Class AAA are Region 4 rivals Blessed Trinity and Westminster. The Titans and Wildcats have already squared off at the same meet three times this season, with Blessed Trinity leading the proverbial head-to-head series 2-1. They most recently met at the region championship, where the visiting Titans beat the runner-up Wildcats. A top-heavy East Jackson squad should also be in the mix. On the girls’ side, too, Blessed Trinity and Westminster are the top two favorites. Like the two Class AAA powerhouses, Starrs Mill also has apparent sweep potential in Class AAAAA. The Panther boys recently dominated the Region 4 championship with four runners under the 17:00 mark. 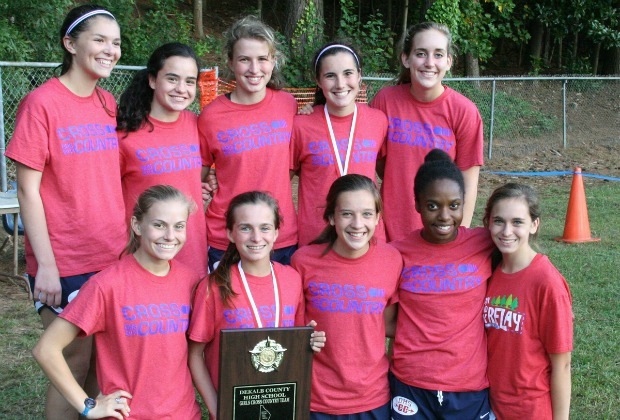 Starrs Mill’s top five girls averaged 20:09 to beat McIntosh 31-49 in a potential preview of the state meet. As always, watch out for St. Pius X at Carrollton. Its boys are coming off four consecutive Class AAA titles and its girls prevailed in 2009 and 2012. Now in Class AAAA, the Golden Lions are likely to be tested significantly by the North Hall, North Oconee and Woodward boys and by the Marist girls. Pace Academy’s girls lifted the Class A-Private trophy in 2013, but this time around it could be the boys who achieve glory. They are ranked No. 1 in Class AA ahead of Wesleyan, Bleckley County and Lovett.